Whether you’re jetting off to far-flung destinations or holidaying closer to home, you can rely on these essential luggage items to seriously up your game in the travel style stakes. 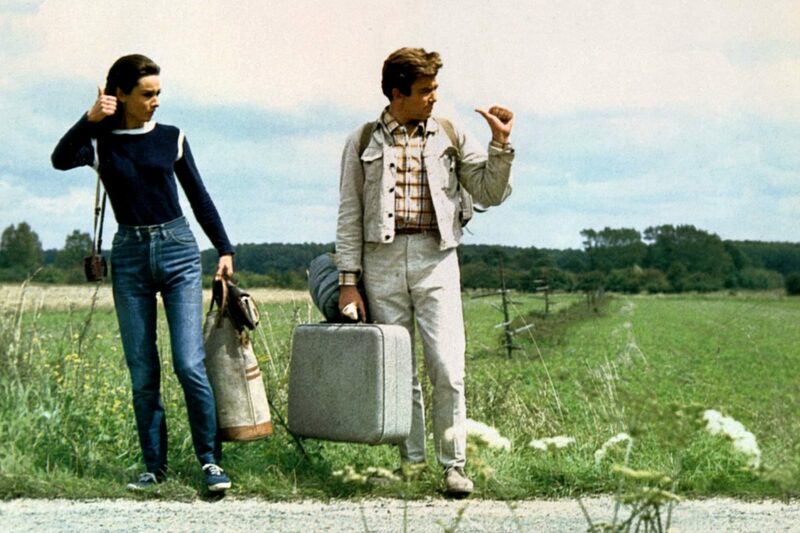 Albert Finney and Audrey Hepburn in Two for the Road (1967). Photograph courtesy of Alamy. Any seasoned traveller knows the importance of carrying the right luggage. Whilst easy to overlook when the stress of planning a holiday takes hold, the bags one carries can have an immense impact on the success (or lack thereof) of said trip. We’ve all been victim to the perils of an overstuffed carry-on or dodgy zipper – miscalculations easily avoided with a little bit of forethought and investment in some quality pieces. However, ensuring functionality isn’t to say that style should suffer; in fact, choosing the perfect luggage comes down to striking a happy balance between the two. If you’re in need of inspiration, The Rake has you covered with our edit of the best luggage pieces for any type of travel. With offerings from some of the world’s finest bag brands, you’re guaranteed stylish adventures aplenty, no matter where you’re headed. When the working week becomes all too much, a weekend jaunt is often just what one needs to rejuvenate. Whether it’s a city break or a country escape that takes your fancy, ensure you travel in style, with luggage that’s both luxurious and practical. For a timeless and versatile carryall, look to British brand Bennett Winch: its weekender bags are as sturdy as they are stylish. Such a brief trip requires compact and economical packing – keep your essentials organised and easily accessible with a small sleek wash bag by leather specialists Ludwig Reiter and a zip-up travel case by Ettinger. It may be the weekend, but there’s no slacking off from style – if anything, this is when your sartorial prowess should really shine. Take heed: a five-star holiday necessitates luggage of the same ilk. You wouldn’t be caught dressing sloppily at a slick resort or on board a yacht, so why shouldn’t the bags you carry be afforded the same approach? Of course, Neapolitan tailoring house Rubinacci knows a thing or two about luxury. Its deerskin leather trolley cases are easy to wheel and – most importantly – supremely stylish. For supplementary elegance, a leather tote from Frank Clegg is a rakish choice and is perfect for storing all of your plane essentials. Finally, keep your documents organised and your travels running smoothly with a smart Ettinger passport case – desperately rummaging in your bags for a boarding pass is never a good look. Ah, the great outdoors – certainly not for everyone, but for those so inclined to forgo creature comforts in favour of fresh air and insect bites, it pays to be properly kitted out. First thing’s first – a rucksack is non-negotiable and Grenson’s weatherproof offering is ideal. Crafted from robust canvas and leather with multiple pockets and fastenings, it’s the perfect marriage of style and functionality. On such a trip, it’s likely that you’ll encounter a body of water or two: be prepared with Rubinacci’s clever towel and carry bag hybrid. Most importantly, don’t forget that being a man of the wilderness makes for thirsty work. In times of desperation, take a swig from Ettinger’s stainless steel and cowhide flask – venturing outdoors has never looked so appealing.